Nazis came to believe a lot of strange and horrific ideas as they built up their Third Reich and attacked the world. 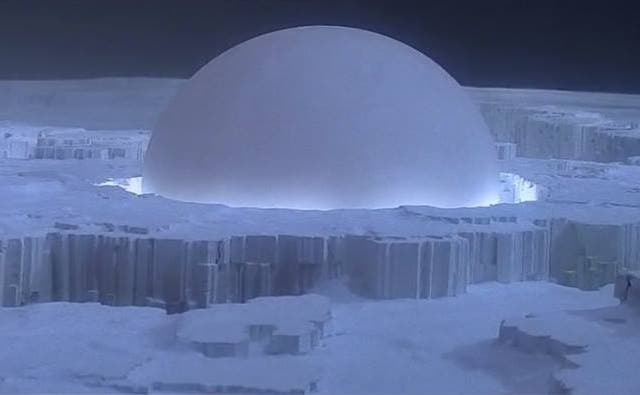 One of the weirdest was the theory about the creation of the universe that Hitler and other top Nazis promoted called the World Ice Theory (“Welteislehre” aka just WEL) or Glacial Cosmology (“Glazial-Kosmogonie”). This obviously discredited concept was developed by the Austrian engineer and inventor Hanns Hörbiger. In a 1912 book, he essentially claimed that ice is the basic element in all cosmic events. In fact, ice moons, ice planets and also “global ether” (made of ice) controlled the development of the universe, according to Hörbiger. 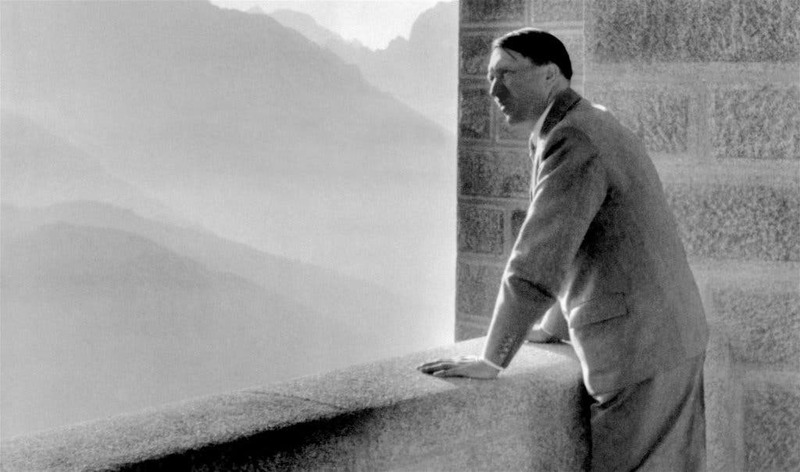 A picture dated 1938 shows German nazi Chancellor Adolf Hitler looking at the Obersalzberg Mountains from a balcony of his Berghof residence near Berchtesgaden. AFP PHOTO FRANCE PRESSE VOIR (Photo credit: AFP/Getty Images). How did the Austrian arrive at such conclusions asks today's Big Think? Not through research but by having a “vision”. One day in 1894, Hörbiger was looking at the moon and suddenly hypothesized that it was made of ice. What else could account for its brightness and round shape? Later he had a dream where he was floating in space while staring at a swinging pendulum which grew longer until it broke off. "I knew that Newton had been wrong and that the sun's gravitational pull ceases to exist at three times the distance of Neptune," wrote the inventor. After he met the amateur astronomer and schoolteacher Philipp Fauth, who was known for creating a large lunar map, the two collaborated on explaining the ice theory in the book Glazial-Kosmogonie, published in 1912. The gist of their idea was that the solar system was born of a gigantic star into which had crashed another star, which was dead, but filled with water. The resulting explosion threw the smaller star’s bits all over interstellar space, where water condensation froze them into enormous blocks of ice. A ring of such blocks created what we know as the Milky Way as well as a host of other solar systems. The large outer planets of our system are that size because they swallowed a large number of ice blocks, says the theory. The inner planets like Earth haven’t consumed as much ice but get pummeled by ice in the form of meteors.